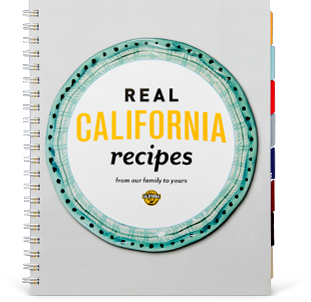 Add Real California low fat milk, sugar and vanilla to a bowl or large measuring cup and stir to combine and dissolve sugar. 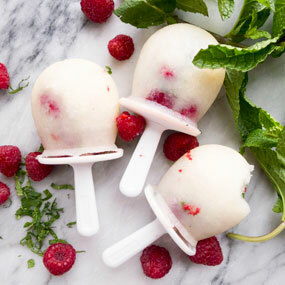 To the popsicle molds, add a few raspberries and pieces of mint to each, pour in the milk mixture and add the remaining mint and raspberries. Place the stick in the mold and freeze until solid (an excruciating 8 hours...do them the night before so you don't wait!). Remove from mold and enjoy!